The Royal Mail issued Great Britain's first football related postage stamps in honour of the 1966 World Cup. Here are all the football themed stamps and material that they have issued since 1966 to date. Royal Mail issued its Footba11 Heroes set on 9th May 2013 to commemorate the 150th anniversary of the founding of the Football Association and the 140th anniversary of the founding of the Scottish Football Association. Gordon Banks (England): Made possibly the greatest save of all time from Pele during the 1970 World Cup Finals. Bobby Moore (England): Captained England to its historic 1966 World Cup win and won 108 full international caps. Dave Mackay (Scotland): Described by George Best as his hardest and bravest opponent, Won the League & Cup Double with Heart of Midlothian & Tottenham Hotspur. John Charles (Wales): Dubbed ‘Il Gigante Buono’, which means Gentle Giant, during his hugely successful spell in Italy with Juventus. Bryan Robson (England): Voted Manchester United’s greatest ever player in a 2011 poll of former Manchester United stars throughout the eras. Denis Law (Scotland): Voted the outstanding Scottish player of the previous 50 years by the Scottish Football Association in 2003, Law is still the joint highest Scottish goalscorer with Kenny Dalglish. Bobby Charlton (England): A survivor of the 1958 Munich disaster in which eight of his teammates lost their lives, he went on to lift the European Cup for Manchester United ten years later, in 1968. John Barnes (England): Scored a goal against Brazil in the Maracana Stadium, Rio, that is often described as the finest English goal of all time. George Best (Northern Ireland): Recognised as the most naturally gifted footballer Northern Ireland has ever produced. Jimmy Greaves (England): Played 57 times for England scoring an incredible 44 goals. The First Division Leading Goalscorer in six different seasons with Chelsea & Tottenham Hotspur. Kevin Keagan (England): Part of a Liverpool team that won a hatful of trophies including the club’s first European Cup, he was twice named European Footballer of the Year. These Royal Mail Football Heroes stamps are available in three ways: Individual mint stamps, also available as a set of 11 in a Presentation Pack (£7.10), as a composite Miniature Sheet (£6.60) and in a Prestige Stamp Book which features self-adhesive Footba11 Heroes stamps, rather than the gummed versions (£11.11). In addition, a retail booklet of six 1st class stamps featuring George Best and Bobby Moore was issued on 9th May (£3.60). A further booklet of six stamps featuring John Charles (Wales) and Dave Mackay (Scotland) will be issued on 20th February 2014. The stamps will remain on sale for one year until May 2014 & here's the Post Office Shops. The Prestige Stamp Book comes supplied in a sealed foil wrapper which will bring back fond memories of collecting football stickers for those of a certain age. This set is bound to have a wide appeal with many football fans who don't normally collect postage stamps. 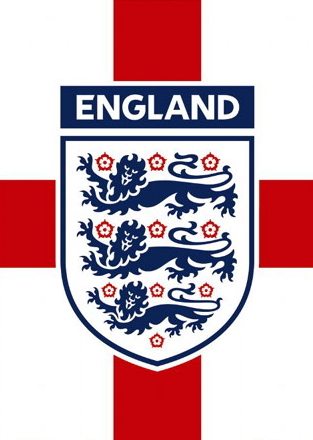 Every football fan will have their own opinions as to who are the 11 greatest British footballers - we feel that the set is perhaps too biased towards English players and also excludes the pre-WW2 footballing greats. We would have included Kenny Dalglish (Scotland), Mike England (Wales) and Pat Jennings (Northern Ireland) in place of Barnes, Robson & Banks (all England) to give a more balanced mix for the four countries.